Three of Wands shares virtue and integrity – the union of your mind, heart and action working in harmony with one another. You have the ability to envision new possibilities long before they become a reality. New business ventures will prosper with the right teammate – someone willing to give you assistance – a creative partnership. You can receive the help you need from someone knowledgeable. Indicates the potential commencement of an enterprise. Your foundation is firm and work can be fearlessly continued. You travel farther in your mind than some people ever do in physical reality and you have many unusual experiences. You need to first acquire a sense of your terrain before you begin anything. You get excited by your visions and can communicate your enthusiasm to others – yet sometimes, your distance from where things are happening leaves you with no concept of how to get down to work and put your ideas into action. You have the ability to love more than one person – when you are always seeking something that is out of reach – you may fail to appreciate fully the good things that are close at hand. You have a great need for the free expression of your thoughts and feelings – yet you are steadfast and dependable. Your love and care for the people in your life is strong and can be felt even from a great distance. Allow your spirit to merge with your visions – to explore and seek out new, deeper experiences – while you stay behind, rooted in reality, directing the images to their greatest potential. Maintain a primary commitment to your existing situations and relationships while at the same time looking for new friends, lovers and adventures. Having known trouble, struggling with the past – you now come to peace with your memories. Prepare yourself to move forward. Be open to helping everyone – including yourself. Know that everyone is suffering in some way – accept everyone’s frailties and shortcomings with tolerance. Commit yourself with unconditional love to help others become whole. You have the ability to heal through your understanding love and healing hands – be gentle, be patient. Compassion is nurturing and loving and the results will renew your spirit. Follow and trust your guides and intuition – love is the divine healing power – be optimistic – use it! Spiritual purpose moving with the will of a dedicated, efficient mind behind it. Intuitive decisions have been made and the wheels are in motion. The fruition and extension of past discoveries rather than a launch into the totally new. Optimism, a “knowing that you know” kind of confidence that feeds your commitment to serious work. There is an objective awareness of your Karmic Contract and enthusiastic agreement to carry it out to the letter. Dedication. Visionary insight joins the clarity of mind, enabling you to be meticulous, accurate, painstaking as you organize in the Spiritual/Intuitive Plane and prepare toward your foundation. Now there is power and strength and wisdom enough for major achievements. One eye on the past, the other on the future as you walk the balance beam of life. Where do your ambitions lie? Where are you putting your attentions? What and whom are you drawing to yourself through your vitality, power and energy? What are you envisioning for the future? What and with whom do you have to coordinate to achieve your plan? Strength or Justice in the spread: Keep going, you will receive your reward and eventually benefit from all your efforts. Next to High Priestess: Your intuitive powers will awaken and you will experience deeper understanding if you seek spiritual goals. Next to Wheel of Fortune: The day will be won with a positive attitude. In the first position: This lifetime is marked by activity and preparation. There is a pleasant restlessness, a balance of contentment with what you already have in your spiritual portfolio and of dissatisfaction with the status quo, a hunger for the effect of the unknown. In the second position: You tend to be in the right place at the right time. Some call this lucky, but it is because you pay close attention to your Physical/material Plane. You do this, not out of fear of things going wrong, but because you are happier when things go right. You are a contingency planner, with an excellent early warning system based on your ability to see the big picture and in detail. In the third position: This is the time when you can build a bridge between the past and the future. You are in the forefront of action and movement – look within and ahead now rather than behind for answers. Others will need to look to you, even as you continue to learn now from your guides, from the path itself. In the fourth position: This passion is for the sensation of the journey itself, between departure and arrival. Here is the excitement of movement, once choice has been made…until time for the next choice. This interim carries its own special sensations. There is a sense of rightness about past events tinged with the mystery of future events, but both are overwhelmed by the liberty of the moment at hand. In the fifth position: You have decided that you are ready to assume more independence, to speak your mind as you organize and re-organize for greater effectiveness. You have discovered things you know others need to know as well and at the same time, you are beginning to be original in your thinking and want to share these thoughts as well. In the sixth position: Considerable time and energy will be devoted to the administration and execution of your program/journey. Resources previously allotted elsewhere will be diverted to there new channels. This will be your heart’s priority in the near future. In the seventh position: This is the complimentary test – here we see that it is the will that is the wind in your sails. The excitement and promise that this holds out for you is generating your plans at this time. Perhaps you have seen the travel agent, even bought the ticket already. In the eighth position: You have begun or will begin in the near future, an ambitious expansion of your activities toward your goals. This action brings much more interaction with others. As Sherlock Holmes would have said, “The game is afoot.” Your mental/spiritual affairs have taken center stage. 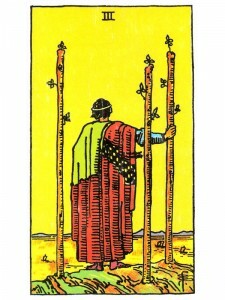 In the ninth position: Your heart longs for the new experience of the fork in the path you have taken. It will provide the desire and the energy if the will decides this is the right time for you to be more independent and assertive. In the tenth position: Better for you to have organized and launched your own voyage, but here it is ready or not. It was imminent. Now it is here. Bon Voyage! Once underway you will have trouble realizing what all the hesitation was about.